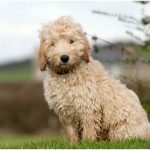 The Cockapoo is a mixed breed or a hybrid breed of dogs which is originated from breeds of England or USA. 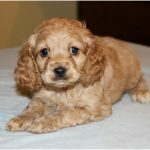 This is a progeny of two pure breeds namely Cocker Spaniel (American or English) and Poodle (Miniature poodle or toy poodle). 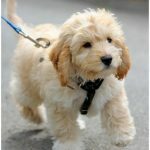 The Cockapoo is also known as Cockerpoo, Cockapoodle or Spoodle. 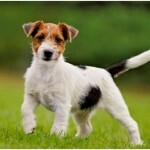 They are popular breed in USA since 1950 but they are not recognized breed in any purebred breed kennel club in America. 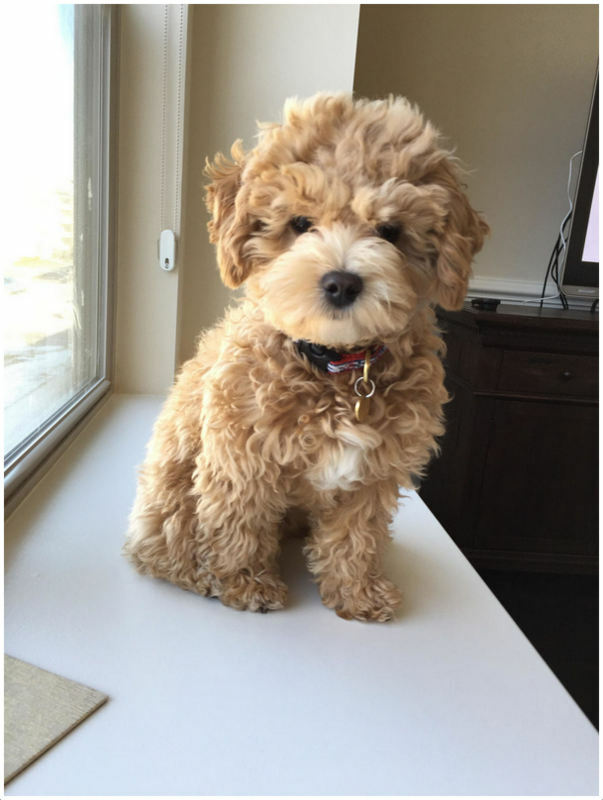 The Cockapoo is a beautiful breed and small breed of dogs. They are very friendly breed and maintain a good relation with kids and other pets. They are easy to train and can learn everything quickly as they are smart. The Cockapoo can be handled easily so it is good even for novice owners. They maintain good relation with other dogs and pets like cats. Proper socialization and training is necessary to keep them good with others. They are not strong barkers but they are alert enough. Sometimes it doesn’t make good watch dog. The Cockapoo is not meant to be left alone as they cannot tolerate aloofness. The Cockapoos are not hypoallergenic dogs. 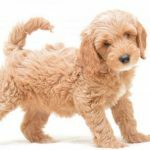 The Cockapoo puppy is little costlier and may cost about $900 to $1100 USD on an average. 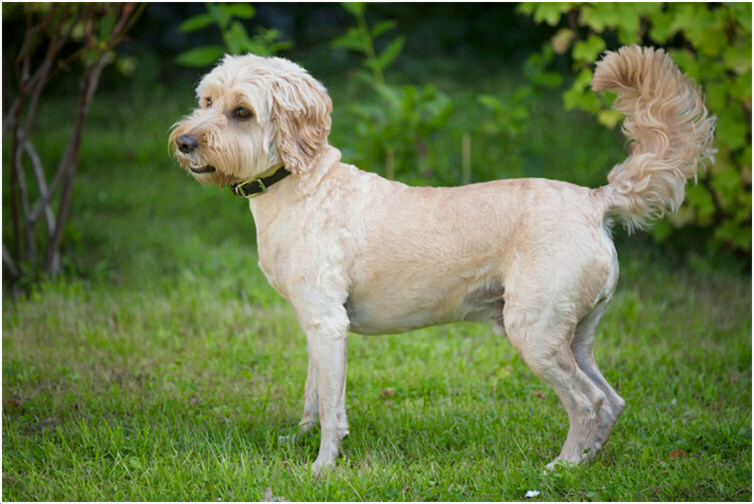 As Cockapoo is a designer mix breed the appearance of Cockapoo has a mixed look. They have sturdy body with strong and round, long legs. 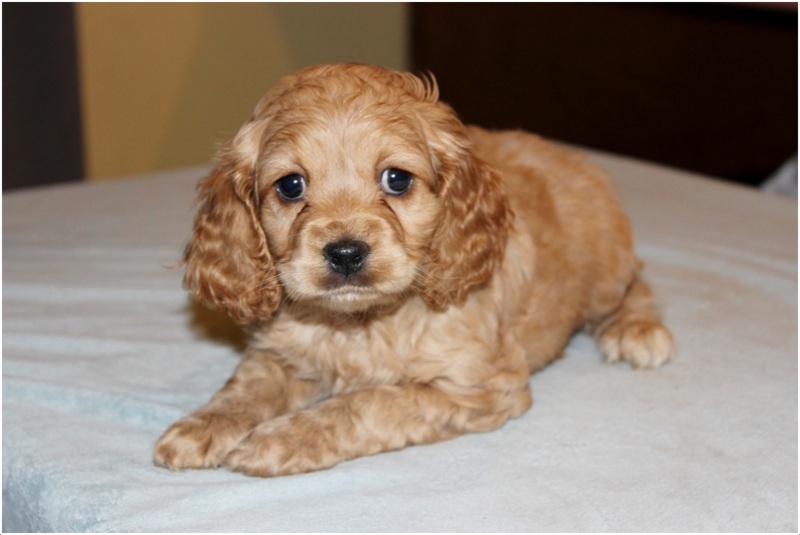 The ears on the head of the cockapoo droop down which are medium to long in size. They have large, dark and round eyes and the muzzle slightly stretched forward on the face. 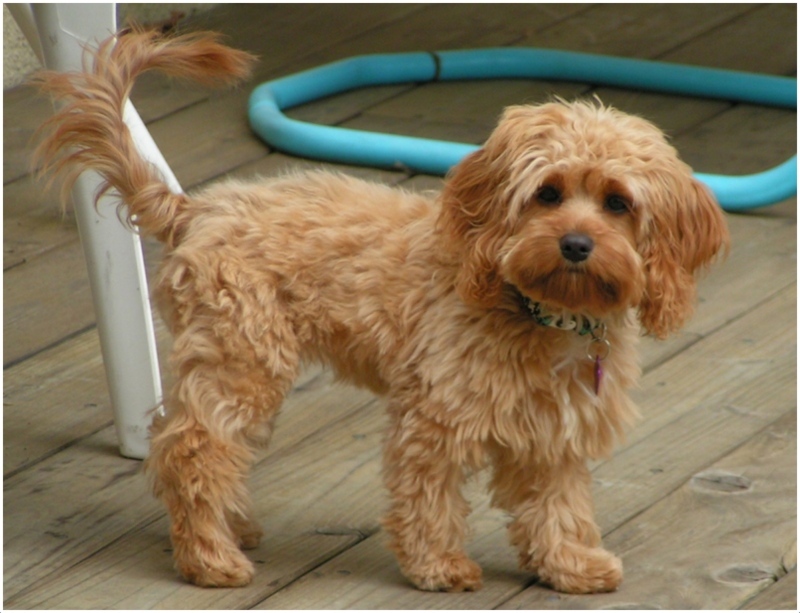 The appearance of the cockapoo may vary from the above description as the appearance is based on their parents breed. The coat texture of all the cockapoos may not be same as some may have straight hair and some may have curly hair. The texture also depends up on the inheritance from parent breed. They are usually single coated and comes in various colours and combinations. 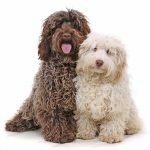 Colours like black, white, silver, cream, tan, sable, brown, beige, grey and red are the most common colours we find in Cockapoo’s coat. The coat not only comes in single colour but also in combination or shades of different colours. 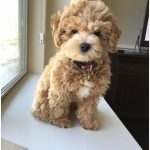 The size of the cockapoo is based on their parent breeds but most of the cockapoos range between 10 to 15 inches (25 to 38 cm) in height and 12 to 24 lbs (5.4 to 10.9 kg) in weight. The Cockapoo is a happy breed and always like to be cheerful and active. 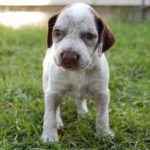 They are affectionate, loyal, energetic and mostly extroverts. They love to hang out with the owners and always like to stay around the people. They are very playful and love to play with toys and kids. They are good with kids and other pets. 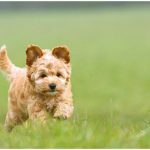 The Cockapoo needs proper socialization to develop good temperament. They are good companion dogs that love to stay with the owner all the time. 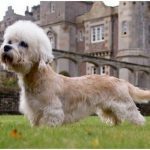 The Cockpoo breed is prone to some heritable and non-heritable diseases. 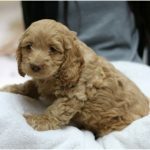 The most common problems we find in cockapoo are loose knees or patellar luxation, eye problems like cataracts and Progressive Retinal Atrophy, allergies, hip dysplasia and ear infections. The pet should be tested before adopting and regular checkups by vet help the pet to maintain good health. Good quality and healthy feed is necessary to maintain pet’s health. The feed should contain feed like meat, milk, drinking water and dog food like biscuits etc. Do not over feed the dog or it may result in over weight problem. The Cockapoo can adapt to the urban living and fits well in the apartment. 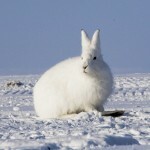 They can adapt to any type of living conditions that is either urban or rural. The Cockapoos fits to any type of environment but extreme environmental conditions do not fit the Cockapoo. 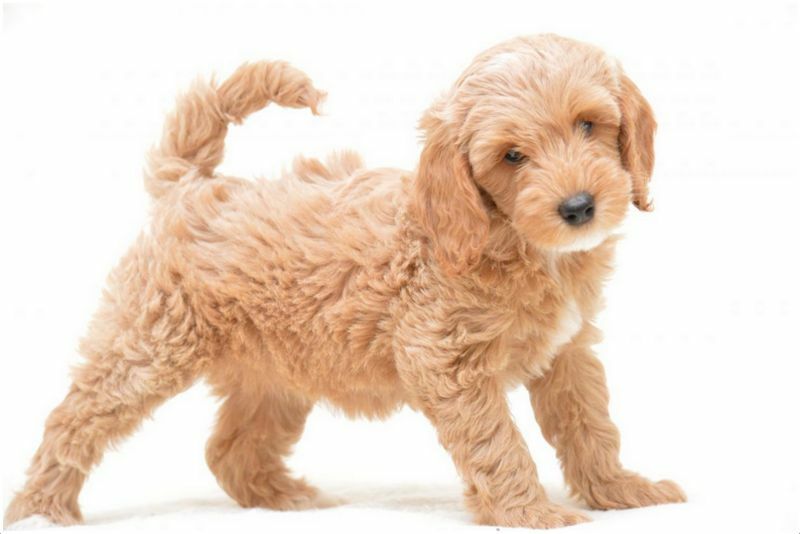 The Cockapoo have average energy and need to do moderate exercises. 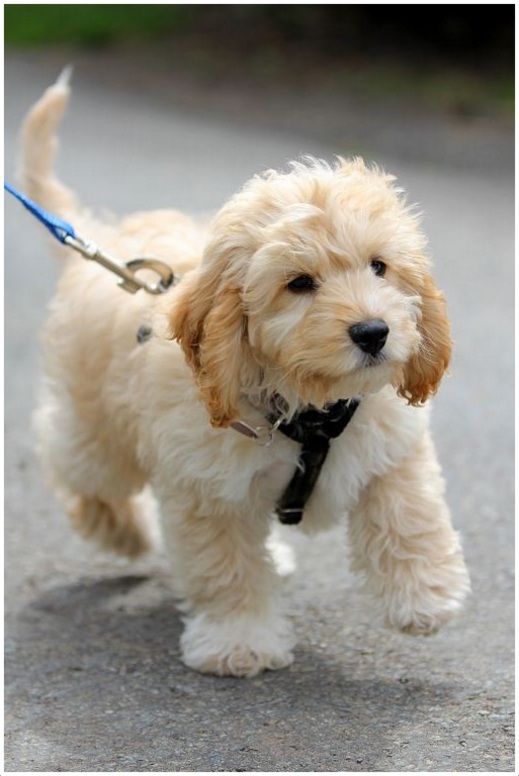 Daily walks will be best and necessary physical exercises or games are necessary to maintain the pet’s fitness. The Cockapoos should never be left alone and they like to be within the family always. They should be properly protected so that they may not hurt themselves. 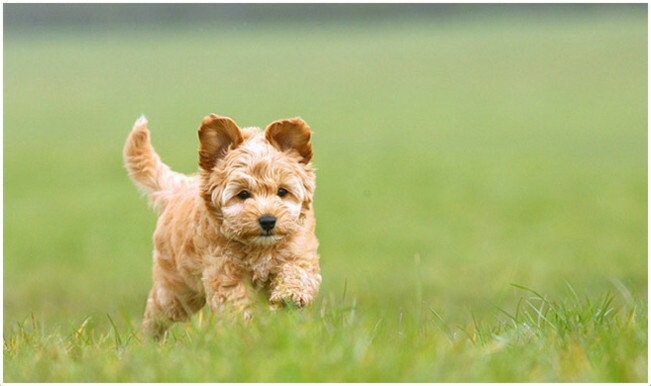 The Cockapoo should be placed in secured and well-fenced areas as they have little hunting instinct. 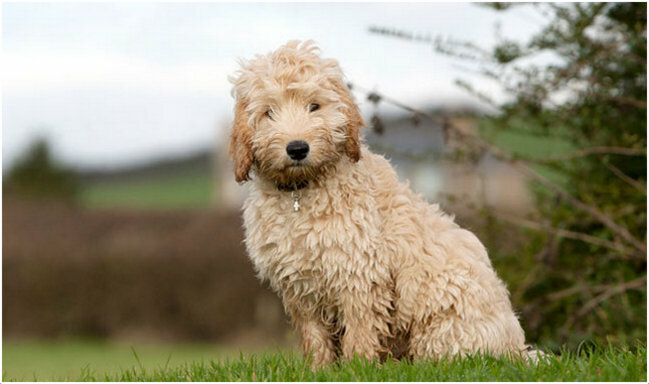 The Cockapoo is a hybrid breed so they can be bred either by crossing two cockapoos or by crossing a Cocker Spaniel and Poodle breeds. 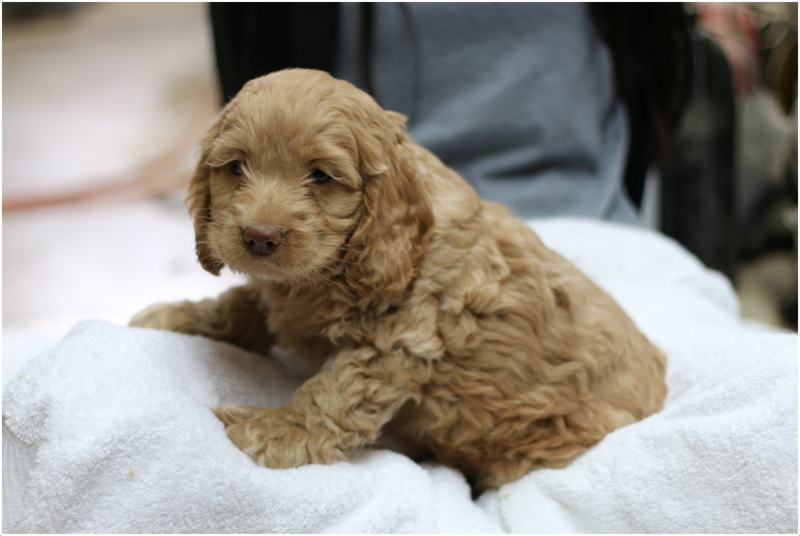 The Cockapoo has average litter size that is about 4 to 7 puppies in one litter. Do not unleash the pet on daily walk or leave the pet alone in unsecured areas. Larger dogs and other bigger animals may turn dangerous to the pet. Do not let the pet into fights which may leave them injured. As above mentioned the Cockapoos can be bred either directly or by cross breeding. A true Cockapoo can be bred by crossing two pure breed dogs of Cocker and Poodle or two Cockapoos. At a proper age and under healthy conditions breeding should be done so that it doesn’t result in any complications. Professional breeding would be advisable as this is a healthy way of breeding. 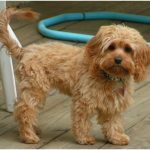 A Cockapoo lives about 14 to 16 years on an average but a healthy pet can survive about 18 years. So keeping the pet healthy and fit can help the pet survive for more years. The coat of the Cockapoo may be straight or curly but needs daily brushing is necessary. Brush the coat properly to remove loose or dead hair. Frequent bathing is not necessary and bathe the dogs now and then. 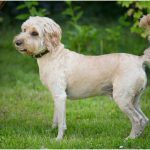 The Cockapoo’s hair grows faster, if necessary clip the coat but make sure coat’s texture is not damaged. Brush the teeth daily to keep away the gum diseases and dental problems. 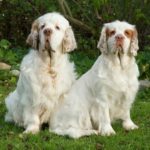 As Cockapoos are prone to ear infections due to their drooping ears, it is necessary to clean the ears regularly and make sure they are free from infections. The Cockapoo do not shed a lot and it is an average to low shedder. Regular grooming reduces the hair fall and keeps the pet clean and tidy. Male Dogs : Ceaser, Alex, Pood, Maxie, Pie.